Texas Hold’em is arguably the most famous of all poker games. 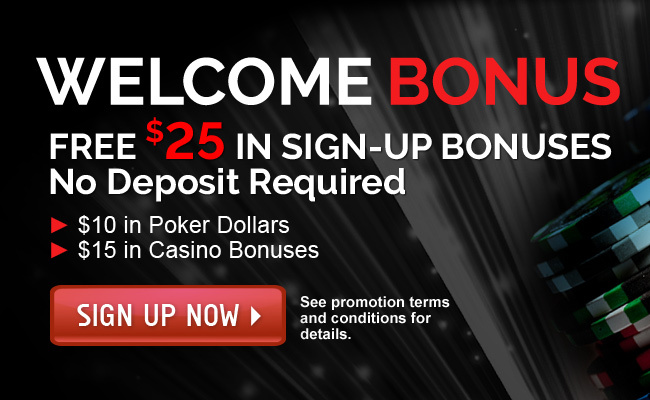 If you are new to the game of poker, Texas Hold’em Poker is a great place to start. Hold ’em consists of two cards (“hole cards”) being dealt face down to each player and then five community cards being placed face-up by the dealer — a series of three (“the flop”) then an additional single card (“the turn”) and another additional card (“the river”) – with players having the option to check, bet, raise or fold after each deal; i.e., betting may occur prior to the flop, “on the flop”, “on the turn”, and “on the river”. Texas Hold’em Poker is a community card game that can be played anywhere from 2-10 players. Every player then receives two cards face down. These are called “hole” cards. Now here are some more detailed looks at aspects of Texas Hold’em. A standard hold ’em game showing the position of the blinds relative to the dealer button. Hold ’em is normally played using small and big blinds – forced bets by two players. Antes (forced contributions by all players) may be used in addition to blinds, particularly in later stages of tournaments. A dealer “button” is used to represent the player in the dealer position; the dealer button rotates clockwise after each hand, changing the position of the dealer and blinds. The small blind is posted by the player to the left of the dealer and is usually equal to half of the big blind. The big blind, posted by the player to the left of the small blind, is equal to the minimum bet. In tournament poker, the blind/ante structure periodically increases as the tournament progresses. After one round of betting is done, the next betting round will start by the person after the big blind and small blind. When only two players remain, special ‘head-to-head’ or ‘heads up’ rules are enforced and the blinds are posted differently. In this case, the person with the dealer button posts the small blind, while his/her opponent places the big blind. The dealer acts first before the flop. After the flop, the dealer acts last and continues to do so for the remainder of the hand. Each player is dealt two private cards in hold ’em, which are dealt first. Play begins with each player being dealt two cards face down, with the player in the small blind receiving the first card and the player in the button seat receiving the last card dealt. (As in most poker games, the deck is a standard 52-card deck containing no jokers.) These cards are the players’ hole or pocket cards. These are the only cards each player will receive individually, and they will only (possibly) be revealed at the showdown. The poker hand begins with a “pre-flop” betting round, beginning with the player to the left of the big blind (or the player to the left of the dealer, if no blinds are used) and continuing clockwise. 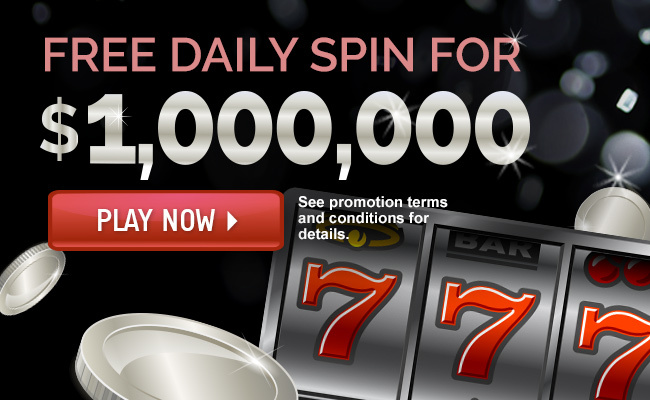 A round of betting continues until every player has folded, put in all of their chips, or matched the amount put in by all other active players. Note that the blinds in the pre-flop betting round are counted toward the amount that the blind player must contribute. If all players call around to the player in the big blind position, that player may either check or raise. After the pre-flop betting round, assuming there remain at least two players taking part in the hand, the dealer deals a flop, three face-up community cards. The flop is followed by a second betting round. 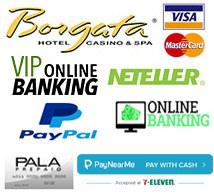 All betting rounds begin with the player to the button’s left and continue clockwise. After the flop betting round ends, a single community card (called the turn or fourth street) is dealt, followed by a third betting round. A final single community card (called the river or fifth street) is then dealt, followed by a fourth betting round and the showdown, if necessary. In all casinos, the dealer will “burn” a card before the flop, turn, and river. The burn occurs so players who are betting cannot see the back of the next community card to come. This is done for historical/traditional reasons, to avoid any possibility of a player knowing in advance the next card to be dealt. If a player bets and all other players fold, then the remaining player is awarded the pot and is not required to show his hole cards. If two or more players remain after the final betting round, a showdown occurs. On the showdown, each player plays the best poker hand they can make from the seven cards comprising his two hole cards and the five community cards. 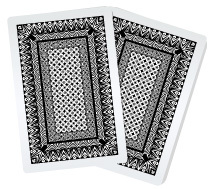 A player may use both of his own two hole cards, only one, or none at all, to form his final five-card hand. If the five community cards form the player’s best hand, then the player is said to be playing the board and can only hope to split the pot, because each other player can also use the same five cards to construct the same hand. If the best hand is shared by more than one player, then the pot is split equally among them, with any extra chips going to the first players after the button in clockwise order. It is common for players to have closely valued, but not identically ranked hands. Nevertheless, one must be careful in determining the best hand; if the hand involves fewer than five cards, (such as two-pair or three-of-a-kind), then “kickers” (the highest other card) are used to settle ties. Note that the card’s numerical rank is of sole importance; suit values are irrelevant in Hold’em. The last player to bet is the first player to show his hand. Now that you know how to play Texas Hold’em poker, you are ready to hit the tables! 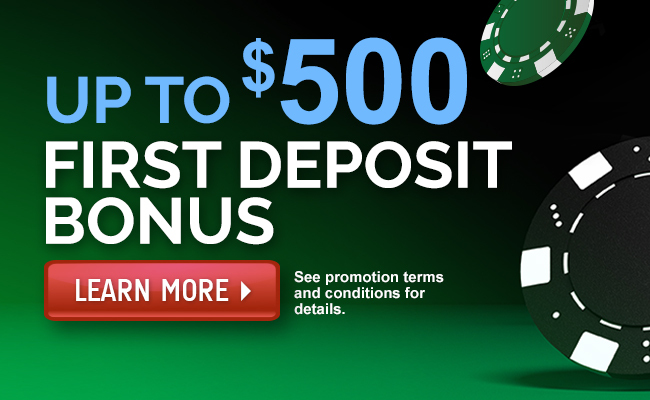 Sign up today to get started and win real money!